goldfish | THE FReEsPiRit !!! This picture of fishes was taken in a lake of Nebraska.. 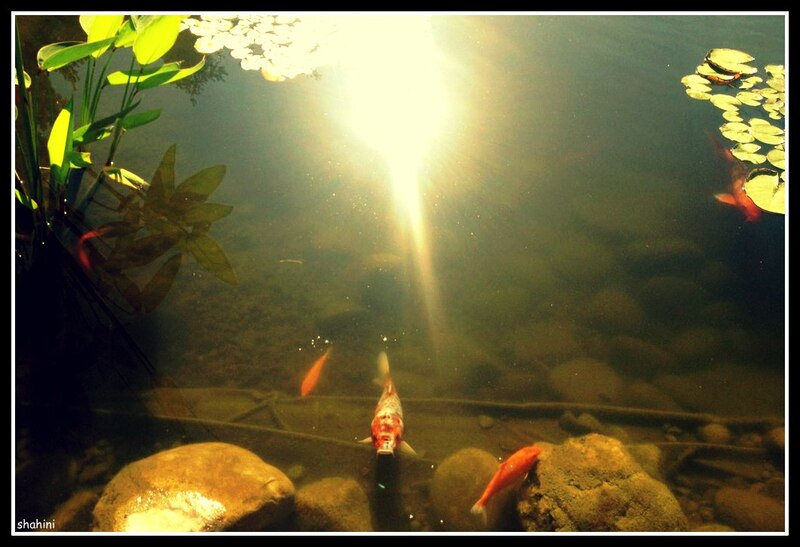 I always saw gold fishes in jar but this is the first time I saw them swimming in lake in this picture.. 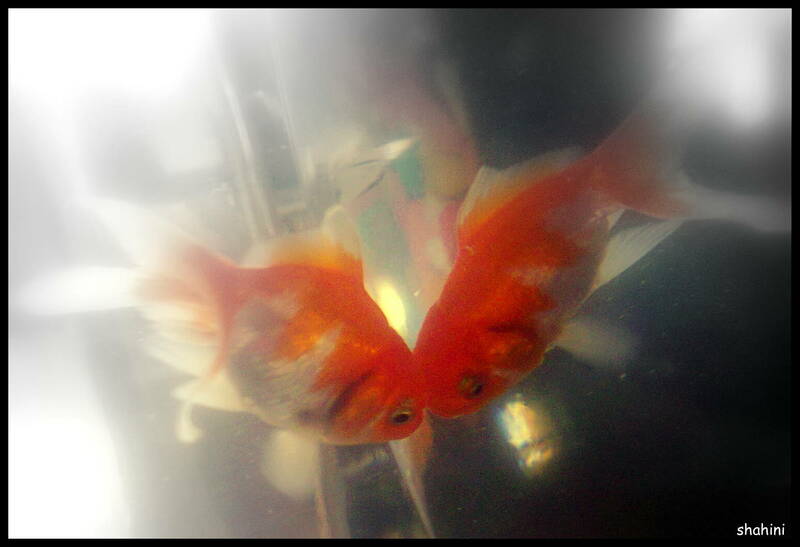 Cute, cuddly fishes.. I really wish to keep them as pet but when I realise how freely they can roam in the lake with their friends I feel its better to let them stay happy in the large lake instead of tiny jar..
Its my fishy who was busy looking at her reflection……..